FLIX manufacture a superb range of fiber drumsticks and drum brushes which have been carefully developed to produce its own unique combination of sound, balance & dynamic effect! 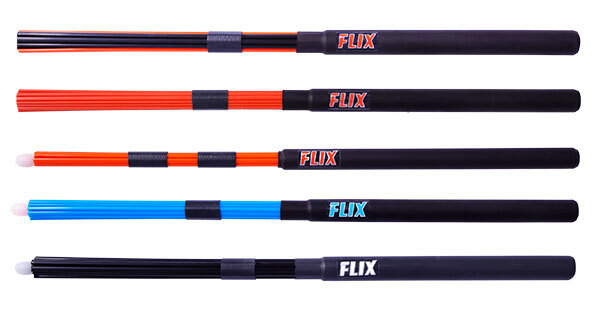 FLIX brushes and sticks accommodate the entire musical spectrum: Jazz, Pop, Rock, Country, Latin, Ethnic and Heavy Rock. FLIX Products are the first choice for many studio, session and show drummers seeking to add a significant new dimension to their playing.